second leading cause of cancer‐related deaths in children under age 20.
second leading cause of cancer‐related deaths in males up to age 39.
second leading cause of cancer‐related deaths in females under age 20. May is National Brain Tumor Awareness month so New Voices is taking the opportunity to briefly review the condition. Two general types of cells exist in the brain – neurons, which are classical “brain cells”, and glial cells, which are by and large responsible for supporting neurons. While a wide variety of brain tumors have been identified, they most commonly result from an abnormal or uncontrolled growth of glial cells, called a glioma. 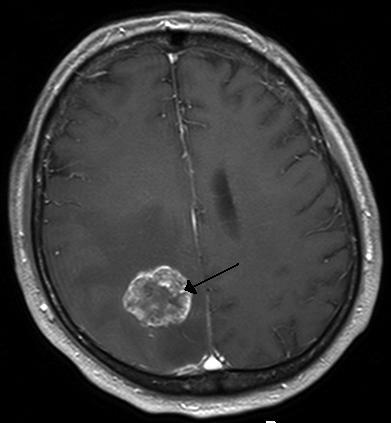 If gliomas are composed of cancerous cells they are malignant, whereas non cancerous gliomas are benign. Of the thousands of Americans diagnosed each year with malignant gliomas, approximately half are alive one year after diagnosis, and only 25% after two years. In 2008, more than 52,000 Americans were diagnosed with either a malignant or benign brain tumor. The incidence of malignant brain tumors appears to increase steadily with age, for the least number of cases are seen in individual younger than 20 (4.5 per 100,000 persons) and the greatest in those 75—84 (57 per 100,000 persons). While age, race, gender, genetic mutations and exposure to certain environmental toxins have all been implicated in some brain tumor cases, research has yet to conclusively define the causes. Interestingly, there is mounting evidence that cell phone use might increase chances of affliction. Two highly credible and recent studies have found a clear risk associated between cell phone use and prevalence of brain tumors. Unfortunately, I have known several people who have had brain tumors and they can be very difficult to handle. We are all crazy enough without having some disfunctional cells destroying our minds. Considering you were directly responsible for some of my education, your comment is interesting. By interesting I mean disregarded. Do you have anything constructive to add? I love seeing the facts from the tumor's point of view. That conceit might even make me remember the symptoms and statistics. Thanks for the commment. Does a phone being used irradiate at the same level as when it's in standby? Something My Body Needs Anyway?